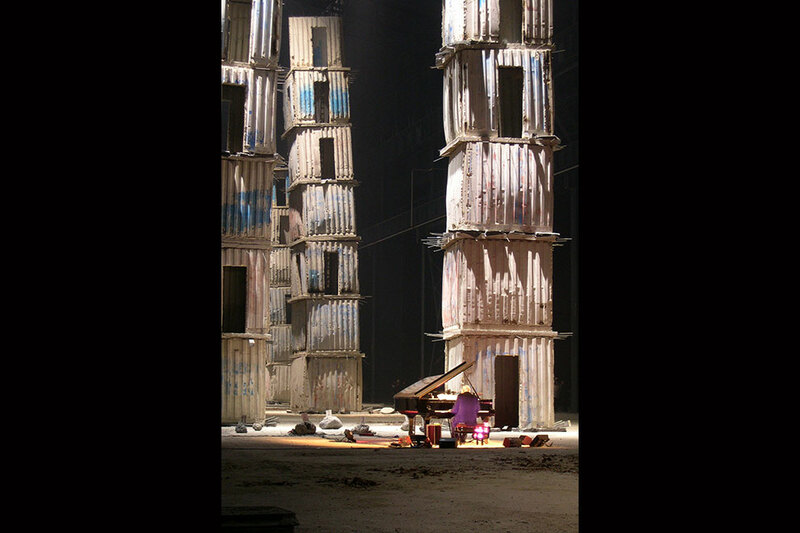 Within the striking atmosphere of The Seven Heavenly Palaces by Anselm Kiefer, Ludovico Einaudi held a special solo piano concert. 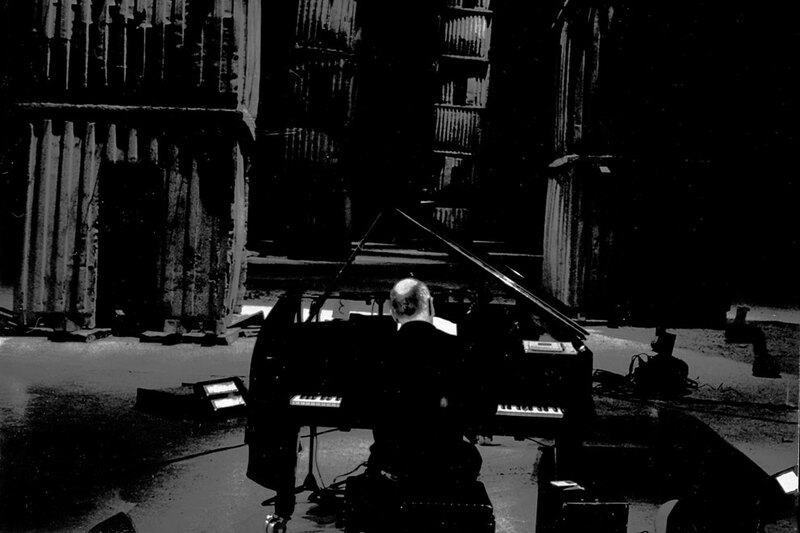 “During my activity concert, has happened me to play in some spaces that transmitted a special energy, in some cases the place emitted such a strength that has pushed me to modify radically the concert, to create something that waved together with the space. 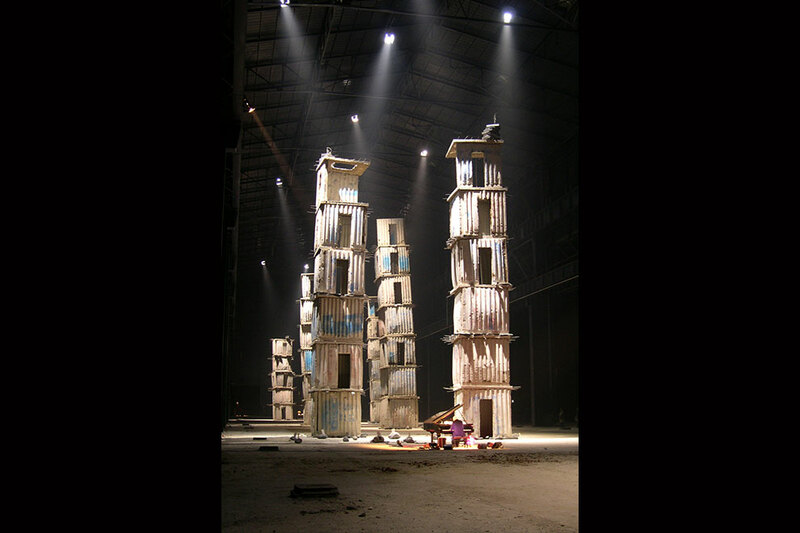 So it was the 10 February of 2005 when I played to the Hangar of Bicocca surrounded from “The Seven Heavenly Palaces” by Anselm Kiefer. Two days before the concert I made the tests, it was as to play inside an immense cathedral, the sound traveled upward, it never ended, the “seven towers” they evoked a mysterious power with which we could not talk.Decided to do something of completely different from what I had thought, I had available only one day to prepare me, and I threw down a series of squirts, deciding that I would be launched to improvise around the new ideas that I had picked up. The concert was for me memorable, also because the hangar was not heated and it was February. The public was wrapped in blankets, unreal atmosphere. I jealously preserve the recording of that evening, from which some passages that I have elaborated then in the time were born, the atmosphere of my last album “Nightbook” was born there”.